I've talked about my obsession with the talented and passionate Penn undergrads and alumni who specialize in spoken word. 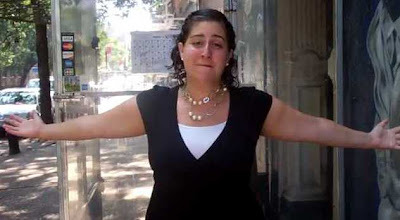 Specifically, over the years, the impassioned Caroline Rothstein (C'06, The Excelano Project) continues to wow. And I'm not just noticing it, but today, so did Lady Gaga! Yesterday, Lady Gaga tweeted about Caroline's performance of "Fat" to her 30 million followers! Watch the electric video after the jump! ...And Gaga should know that Penn folks certainly love Lady Gaga!